"When the time comes, there's no one can stand and help you!" Magnolia Pictures has unveiled an official US trailer for Terence Davis' romantic drama Sunset Song, starring Agyness Deyn as the daughter of a Scottish farmer who marries a young man in the early 1900s. He goes off to become a soldier, with WWI leaving her town devastated, and then returns bitter and angry. Kevin Guthrie co-stars, along with Peter Mullan, Jack Greenlees and Ian Pirie. This isn't the first trailer we've seen, as we posted one from the UK last year. If anything, it's easy to see this film has wonderful cinematography and strong performances. The daughter of a Scottish farmer comes of age in the early 1900s. Terence Davies's adaptation of Lewis Grassic Gibbons's novel, first published in 1932, stars Agyness Deyn as Chris, a Scottish farm worker who sees family trauma merge into global catastrophe as the first world war devastates her village. 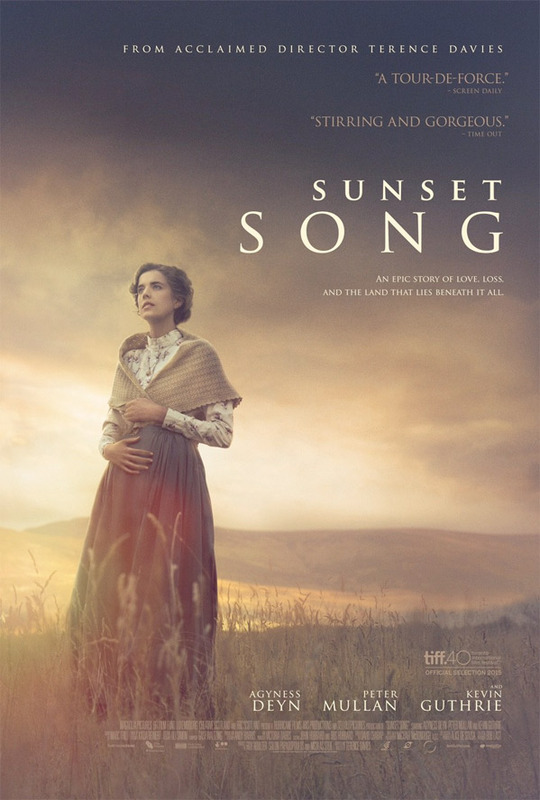 Sunset Song is both written and directed by English filmmaker Terence Davies, of The Deep Blue Sea, Of Time and the City, The House of Mirth, The Neon Bible, The Long Day Closes previously. The film just premiered at the Toronto Film Festival last year and also played at the London Film Festival. Sunset Song was released in the UK last December. Magnolia Pictures will release Sunset Song in US theaters starting May 13th. Thoughts?